Attorney Mr. Waddell is a Partner at the nationally recognized law firm Yuhl Carr, LLP. 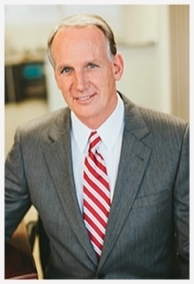 Mr. Waddell has represented individuals, insurance companies and corporations over his 25 years career in law. He has developed a reputation for maximizing the recoveries received by his clients by combining his experience with intelligent and effective litigation strategies. Mr. Waddell has made his clients millions of dollars. Mr Waddell’s practices focuses on representing individuals in matters involving personal injuries, wrongful death, labor and employment law and class actions. Prior to joining Yuhl Carr, Mr. Waddell operated a personal injury solo law practice for five years that achieved a level of success that caught the attention of Yuhl Carr leading to his joining the firm as a partner. Prior to operating his solo practice, Mr. Waddell was a Vice President of Business and Legal Affairs for the Universal Music Group, the largest record company conglomerate in the world. In that role, Mr. Waddell handled matters involving some of the most famous recording artists in the world, including Bon Jovi, Jimi Hendrix, Bob Marley, Nirvana, KISS, The Who, and BB King, among many others. Prior to working for the Universal Music Group, Mr. Waddell was a litigation associate at Long & Levit, LLP located in San Francisco. While at Long & Levit, Mr. Waddell specialized in complex civil litigation representing corporations as both plaintiffs and defendants. Mr. Waddell’s experience in handling large scale corporate lawsuits has provided him with the expertise to handle any case no matter how large or complex.